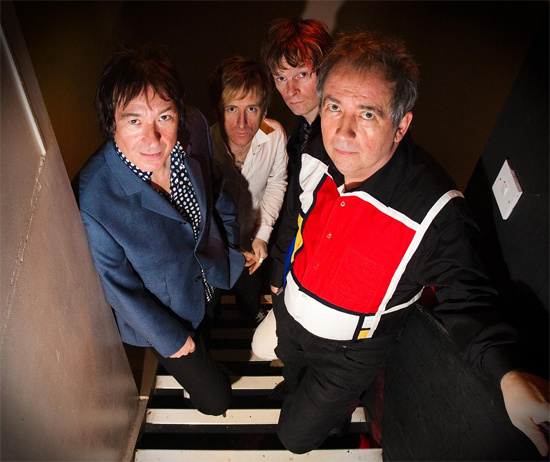 The Buzzcocks have announced that in May 2012 they'll be playing two shows 'back to front', one in Manchester and one in London. On each evening they're due to start with the current line up of Steve Diggle & Pete Shelley (vocals/guitar), Chris Remington (bass) and Danny Farrant (drums), playing a set of new and contemporary material. Afterwards Diggle and Shelley will play tracks from their heyday with the 'classic' line-up (John Maher on drums and Steve Garvey on bass) - think 'Ever Fallen In Love', 'Harmony In My Head', 'Love You More', and more. And each night will finish with a performance of the band's debut, the 1977 self-recorded, manufactured, released, distributed Spiral Scratch EP, with Diggle, Shelley and Maher joined by original co-founder/frontman Howard Devoto. The night will close with the EP's four tracks - 'Boredom', 'Friends Of Mine', 'Time's Up' and 'Breakdown'. Tickets go on sale at 9am this Friday, 2nd December.